Here comes my next lunch ideas for diabetic people. 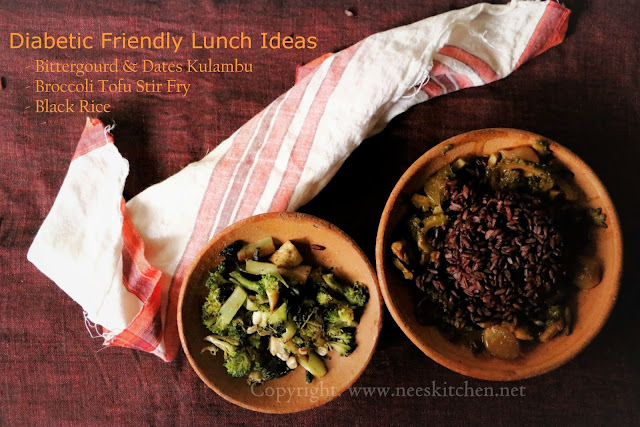 This lunch menu has Bitter gourd and Dates Kulambu, Broccoli Tofu Stir Fry and Black Rice. All are extremely safe for diabetes. This is almost like a fusion platter as it has recipes from different cuisines. Tastes Bitter gourd and dates kulambu good when cooked a day earlier in claypot. If your body cannot take dates too much, you may reduce the quantity than prescribed in the menu. How I prepared this meal? 1. I cooked bitter gourd & dates kulambu, one day in advance (the previous night) so that I get the best taste. 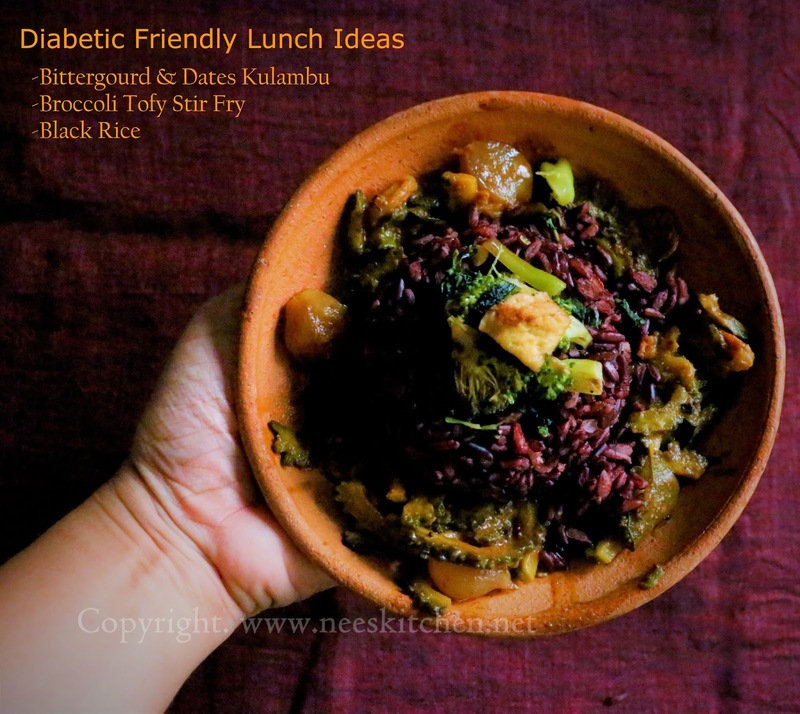 2.The next day the black rice was kept in electric cooker which was a parallel cooking. 3. 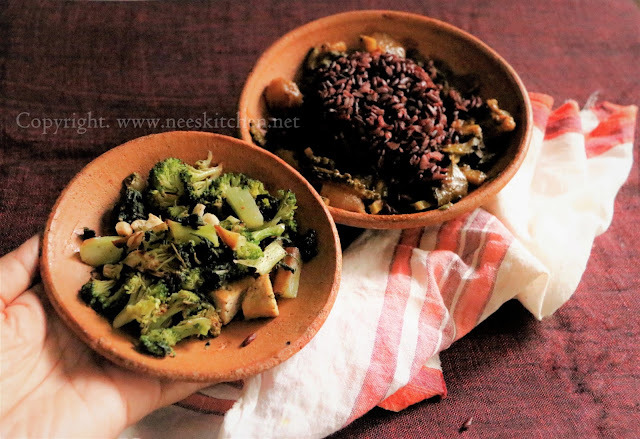 Broccoli and tofu was cut and cooked while the black rice was cooking in parallel. All my diabetic friendly recipes are self tested and hence anyone with medication can try this safely too.